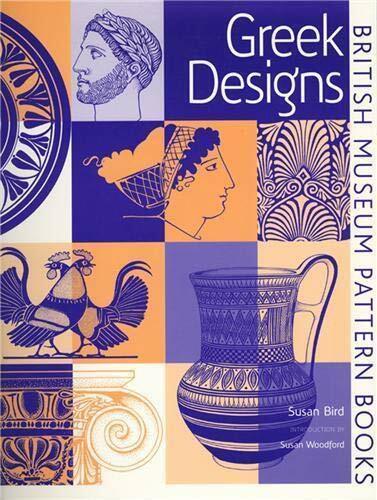 This visual anthology of over 300 designs and patterns is drawn from the heritage of Greek art. These drawings encompass a wide variety of sources such as vase paintings, friezes, emblems on coins and other ornaments. The range of subject matter incorporated into patterns by the Greeks includes fish, fowl, mammals, monsters, plant life and the human figure in a wealth of geometric and organic designs. A short introduction discusses the techniques, materials, and insight with which the Greeks created such lively patterns. Designers, craftsmen, teachers and students alike will find these designs surprising, delightful and a source of inspiration. Susan Bird began work as a draughtsman on archaeological digs at numerous sites in Greece, Iran, Italy, Cyprus and Belize. She then became the illustrator in the Department of Greek and Roman Antiquities at The British Museum u a post she occupied for twenty years. She now works as a freelance illustrator, ceramicist and painter. Dr Susan Woodford teaches Greek and Roman art at the University of London and carries out research for the Department of Greek and Roman Antiquities at The British Museum. She is the author of numerous scholarly articles and books for the general reader, including The Parthenon, An Introduction to Greek Art and, most recently, Images of Myths in Classical Antiquity.